Vehicle financing in South Africa is quite strict when it comes to the issuing of car finance with bad credit. If you’ve only just started working or you’re buying a car while blacklisted, it will be difficult applying for car financing if you go the traditional route. Issuing a loan with such a high-interest rate that you’ll be paying much higher premiums than you had hoped for. It also means that you’ll be tied into a contract with very strict financial terms and conditions. Fortunately, there is a way to get access to a vehicle through Earn-A-Car. Even better? 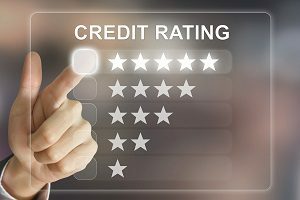 It’s possible to improve your credit rating while you pay off your car! When applying for car financing, institutions obviously look at your income. But they also look at your ability to repay the required instalments. Which is why Earn-A-Car gives you cash back every month. These regular payments prove your reliability – it will go a long way to improving your credit rating. So, you’re never left having to face unexpected emergencies and unforeseen expenses, which can throw your budget out the window and see you land in the red again. Whether you are trying to get car finance with bad credit or whether you are a first-time car buyer with no credit history, Earn-A-Car will help you get the car you want. Simply contact us for information about our easy requirements and you could be instantly approved!